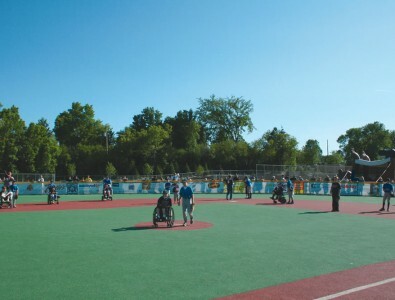 The Miracle League has chosen Surface America as its only poured-in-place baseball fields partner, and we are proud to have their trust in our services. Poured Evertop™ is a one-layer system made from pre- and post-industrial recycled materials. It is used for both infield and outfield because of its smooth, seamless surface – ideal for players and mobility equipment that is always on the move. EverTop includes an industry-leading percentage of material in its surface to extend the life of your surface. And because materials are mixed and applied on site, you can easily achieve customization by adding color, logos and more. EverTop also comes with a 7-year warranty – the industry’s longest and most comprehensive.